Thanks so much for the wonderful comments and favs for my lightning shot!! Awwww great shot! Looks like my shed! Good bait for pythons eh? oh wow! these are neat!! what a great capture! @bobfoto Don't say that! I found a snake skin a couple of days ago! A fave Sheralee - this is just so lovely! @murnane Aww, thanks Marg, they were very cute. @bobfoto I would love to see that snake... from a great distance... in your garden NOT mine! @bella_ss - he or she is definitely 2metres long... maybe longer, but not shorter! @bobfoto Yep, I definitely don't want one of those! Oh, how sweet! Are they a welcome animal or are they considered a pest? great shot of them! they really cooperated for the shot, too, didn't they?! The baby is so cute! Great capture, Sheralee! Oh they are so cute - great capture! Adorable shot. Although I'm not going to show my hubby as he is getting rather annoyed with the chap that has been using our roof as a race track for the last week or so. @timandelke Some people consider them a nuisance especially if they get into their roof space. We built a little house in one of our trees for them, we think they're cute. @rach_who I can sympathise Rach, when they run on our roof they sound like they're dragging a suitcase with wheels. Aww how cute are these! They are soooo cute! I've never seen these before. oh wow..how cute are they???? what an amazing photo! this is one of the BEST THINGS about 365! a tour around the world inside your own living room. thank you so much for posting this, so fantastic! fav. 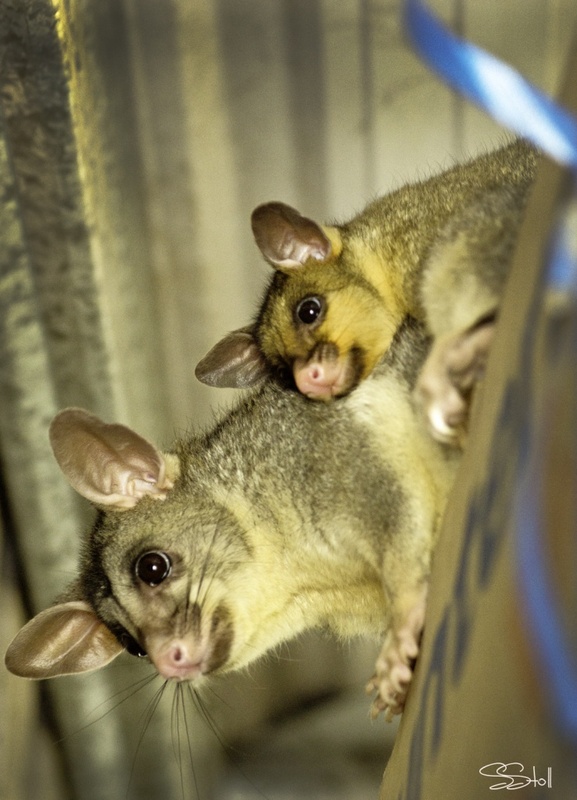 Your possums are so much cuter than ours. What an awesome catch!!! !